Bolzano is one of the two provinces that make up the autonomous region of Trentino-Alto Adige, also known as Sud Tirolo (Italian) or South Tyrol (English) and is located in the most northern tip of Italy. Covering an area of 7,400 sq.km it is bordered by Austria to the north and east, Switzerland to the west with its southerly borders touching the Italian provinces of Belluno, Trento and Sondrio. 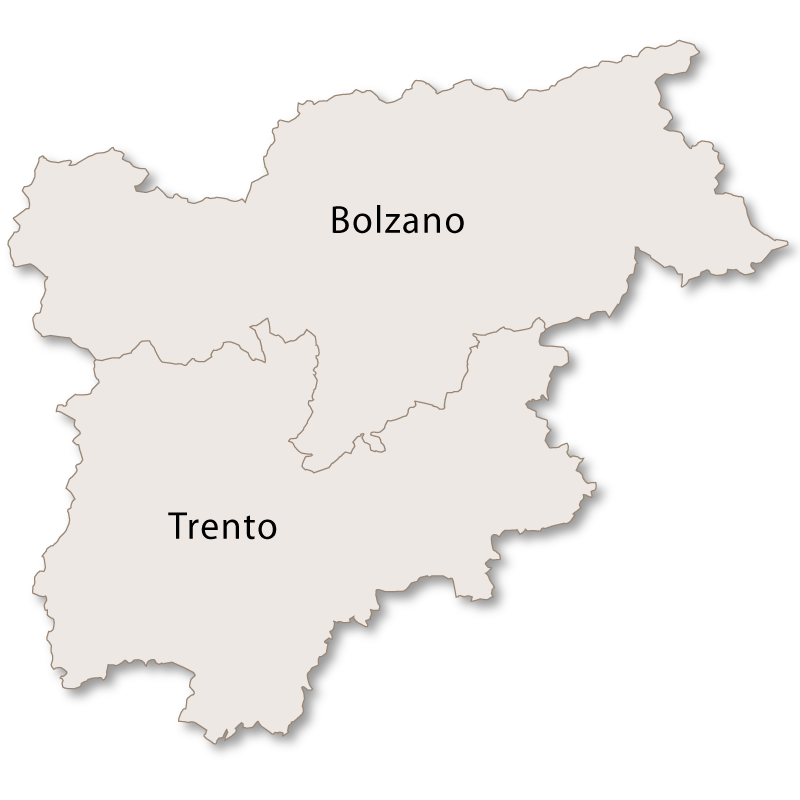 alt="Bolzano Province" It is an extremely mountainous province and is located entirely in the Alps. Several mountain ranges are contained in, or partially within its borders including the famous Eastern and Western Dolomites, the Sesvenna Range, the Hohe Tauern and the Ortler, Ötztal, Stubai, Sarntal and Zillertal Alps. The highest peak at 3,905 metres is the Ortler (part of the Ortler Alps) in the far west. 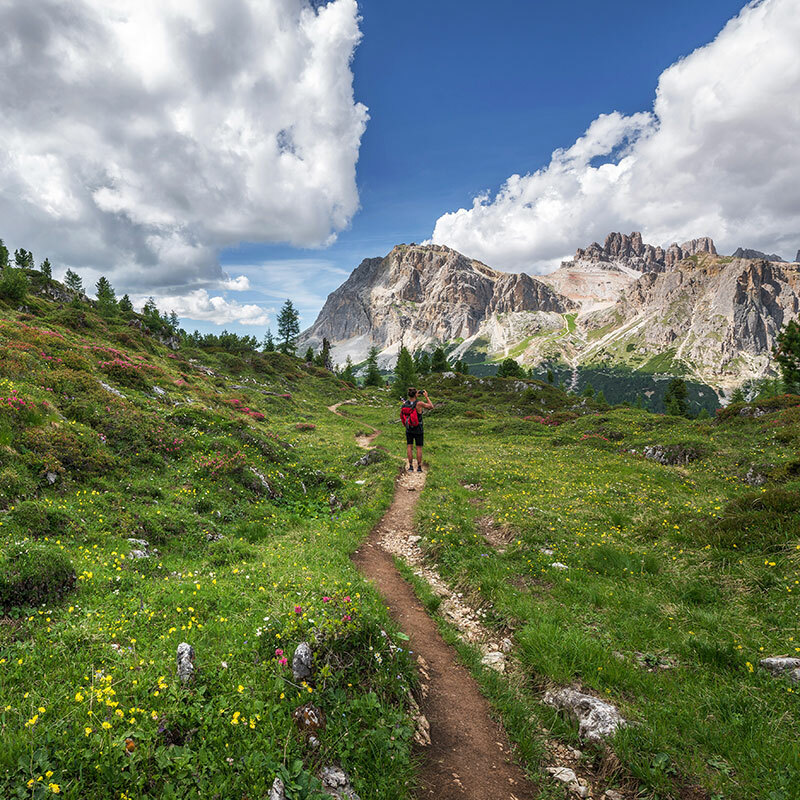 The landscape, particularly around the Dolomites, is spectacular with dramatic mountain scenery, deep sweeping valleys and picture book villages. The area is generally heavily forested and away from the high peaks is well cultivated. 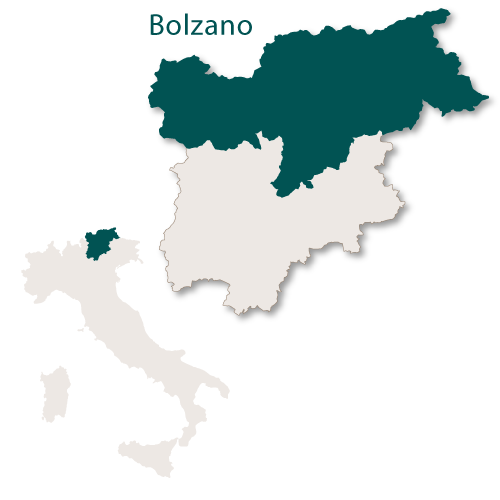 Bolzano has a successful, multi-cultural society where the majority of the inhabitants are of Austrian or Bavarian heritage. Almost 75% of the population speak German as a first language and other than a small percentage who speak Ladin the rest of the population has Italian as a first language. All of the road signs and public notices are in both languages (with Ladin being added as a third in places where it is spoken). 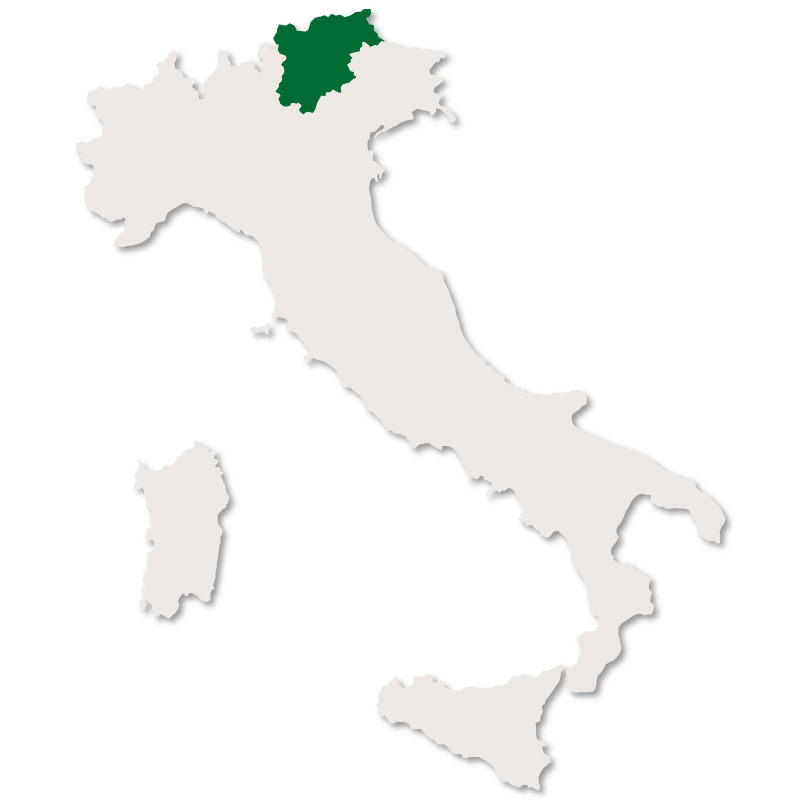 The province of Bolzano is one of the most developed and wealthiest provinces in Italy. It is heavily populated and has been named as one of the best places to move to in Italy due to its high standard of living and abundance of work opportunities. 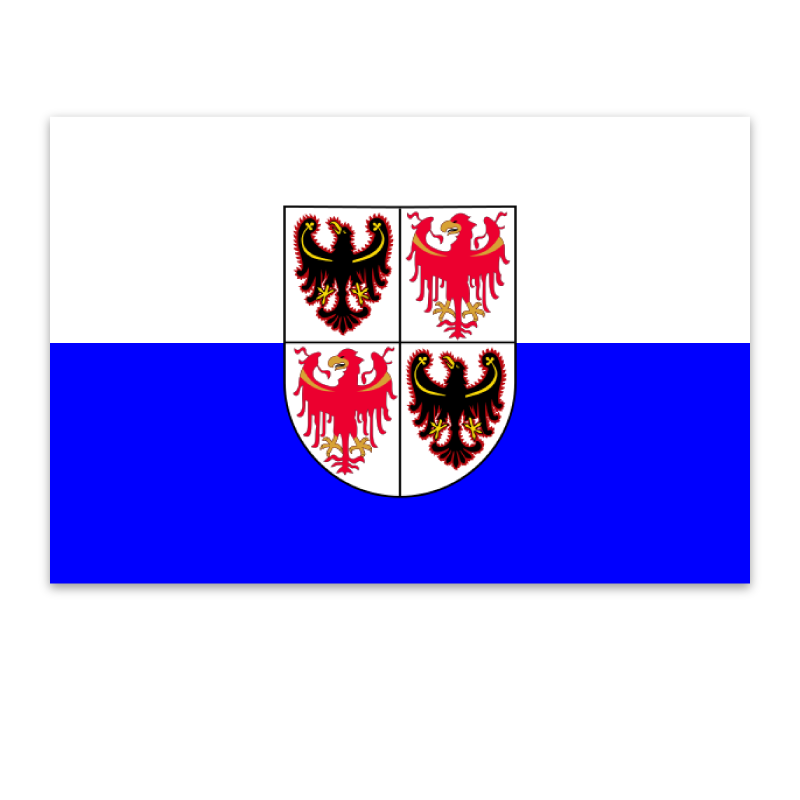 It is one of the wealthiest and most highly developed areas not only in Italy but also within the European Union. 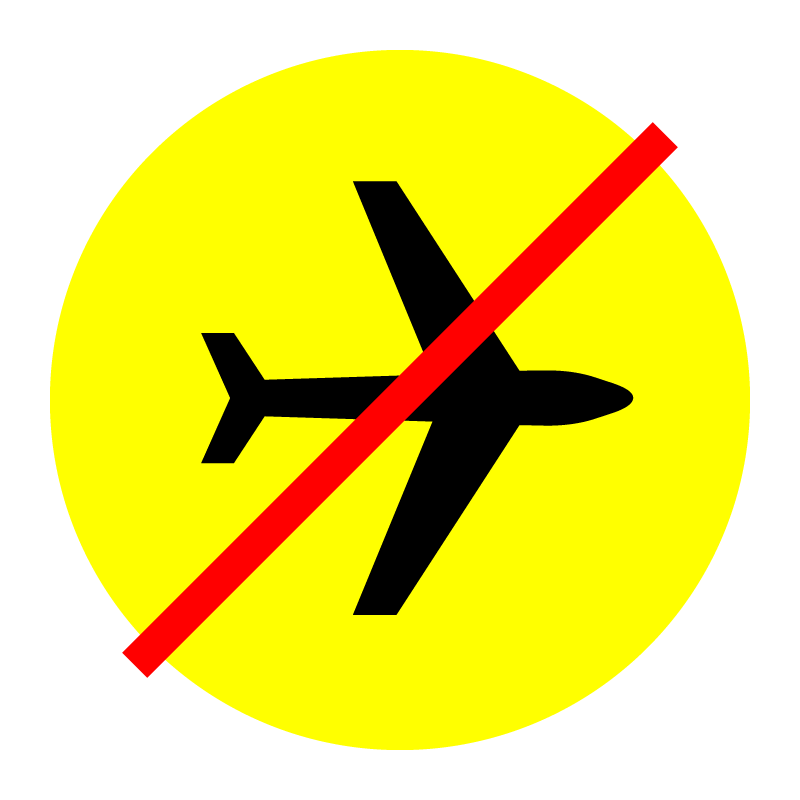 The area is a popular holiday destination and is known world wide for its excellent ski resorts. 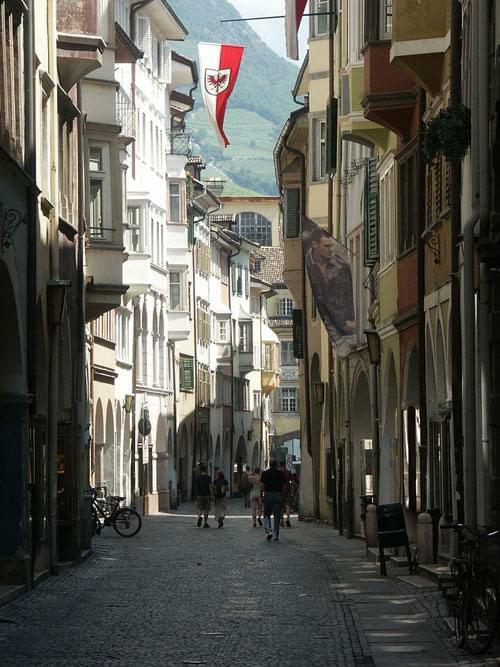 Bolzano is the capital city of the province of Bolzano in the region of Trentino Alto-Adige. It is one of only a handful of communities of the province where Italian is the first language. It is generally considered to be one of the cities in Italy with the best quality of life as well as one of the best Alpine towns. The city is home to the Free University of Bozen-Bolzano where all the lectures are held in three languages; Italian, German and English. It is also the headquarters of the Italian Army's Alpini High Command (COMALP) and houses their combat and support units. Bolzano and the surrounding area has no shortage of work with large machinery, car and steel industries as well as service industries, high quality agricultral projects, tourism and traditional handicrafts in wood and ceramics. It is a pleasant, spacious city with the main street in the centre running for 300 metres and lined on both sides of its length with medieval arcades. The street, Via dei Portici (Laubengasse in German) is a renowned shopping centre and has an endless stream of elegant shops with attractive window displays. There is a Gothic Cathedral, a Benedictine Monastery and several churches of note including the Chiesa dei Domenican which houses a series of Gothic paintings. Castle Maretsch - rather than being built as a construction for defence or a fortress, this castle has always been a residence. It was originally built in the 13th century but was transformed into a Renaissance castle in the mid 16th century. Today it is used as a conference centre but is open for groups of visitors by appointment. Runkelstein Castle - this medieval castle was built as a fortification on the top of a rocky spur in ritten, just outside the city of Bolzano. Firmian/Sigmundskron Castle - dating back to 945 AD this castle is now mainly well preserved ruins and houses a mountain musuem established by the mountaineer Reinhold Messner. During the construction of the musuem a grave, complete with the skeleton of a woman, was discovered. It is estimated that the age of this neolithic grave and its occupant is somewhere between six and seven thousand years. The other main Italian speaking communities in the province of Bolzano are Laives which is the fourth largest town and Salorno which is famous for its medieval castle. Know as the Castle of Salerno (Haderburg castle in german) it is built on the top of a high limestone rock overlooking the Adige valley and marks the linguistic border between the German and Italian population of the province. Several communties speak Ladin as a first language and these include Badia, La Val, Mareo, San Martin de Tor, Santa Cristina Gherdëina, Sëlva and Urtijëi. This is the third largest as well as the oldest town in the province. It is famouse for its skiing resort, Plose, and attracts many tourists in the summer as well as the winter. The Cathedral - built in the 10th century and rebuilt twice, the first time in the 13th century and the second time between 1745 and 1754. The Hofburg - a 13th century Renaissance Bishop's Palace which is considered to be one of the main noble residences in South Tyrol. It has a musuem which, as well as many important pieces of art, has a presepe containing over five thousand figures. Church of Saint Michael - a round, 11th century church. The Pharmacy Museum (Pharmaziemuseum) - this museum is housed in a 500 year old town house which was once the original pharmacy of the town which was, and still is, run by the same family who are now on to their seventh generation. The musuem tracks and demonstrates the changes that have taken place in the pharmaceutical profession over the centuries. Rodeneck Castle - this is just outside the town and was once very powerful. Situated right in the centre of the Alta Badia and surrounded by the stunning peaks of the Dolomites this small town is a very prominent tourist destination. Famous for its historic railway station and large fort which has been open to the public since 2008. There is plenty of evidence to prove that this village was inhabited in prehistoric times. There is a church there called 'Sanctuary Maria Trens' which is a place of pilgramage and is dedicated to the wooden statue of 'Our Lady of the Avalanche'. According to legend a famer found the carved statue in the debris of a landslide in the 14th century. He took it to his house but when he woke up the next day the statue was in the church. It has been worshipped ever since. Bordering the large, artificial lake Reschensee the original town was abandoned as the valley was dammed for hydro electricity and is now no longer accessible. 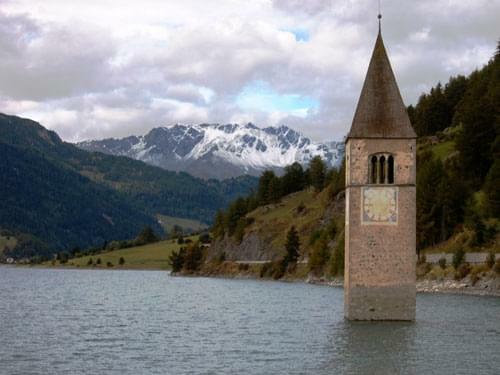 The lake is famous for the steeple of the submerged 14th century church which is clearly visible and has become a landmark. Folklore states that the bells can still be heard ringing in the depths of winter. when the water on the lake freezes it is possible to walk out to the steeple. This town breeds and gave its name to the Haflinger horses. Innichen Here you can find the Innichen Abbey which was built in the late 8th century and later rebuilt during the late 12th century. 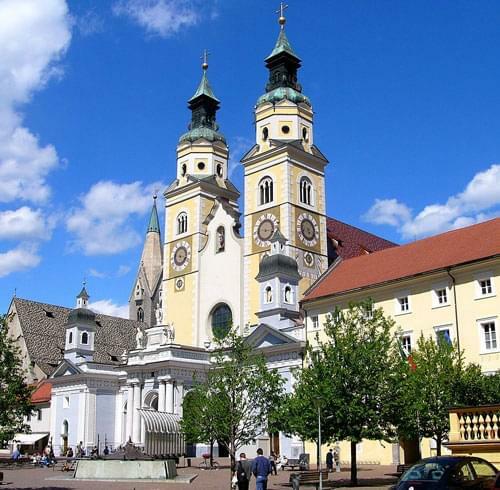 It is considered to be one of the most important Romanesque buildings in the Tyrol. The dramatic castle and fortress here was constructed in the early 13th century and is perched perilously on an inaccessible cliff face. Sitting in a natural basin it is surrounded by mountains well over three thousand metres high and is well known for its spa resorts and mild climate. It has a series of medieval gates, a gothic church and a 17th century, two arched stone footbridge. The famous chocolate and wafer biscuit company 'Loacker' is located here. Just outside the town there are several groups of earth pyramids or 'fairy chimneys'. 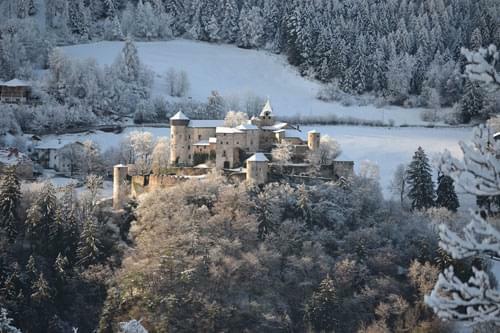 Home to the imposing 13th century Taufers Castle which towers above the village. A medieval town with some intersting and important churches including 'Our Lady of the Marsh', 'Holy Spirit', 'Saint Elisabeth Chapel', 'Saint Margaret Church' and 'Kapuzinerkirche'. One of the world's oldest and largest single vines is in this village. It is of the Versoaln variety and is over 350 years old. As well as its 'Christmas card' Prösels Castle, the Schlern International Music Festival is held here every summer and attracts well known musicians and students from all over the world.